New Orleans is known for Bourbon Street, the French Quarter, and to-die-for Cajun food -- to name a few. I would venture to say it's one of the most culturally diverse cities in the world and a must-see for everyone. If you think it's just a place for partying and drinking until you black out, think again. 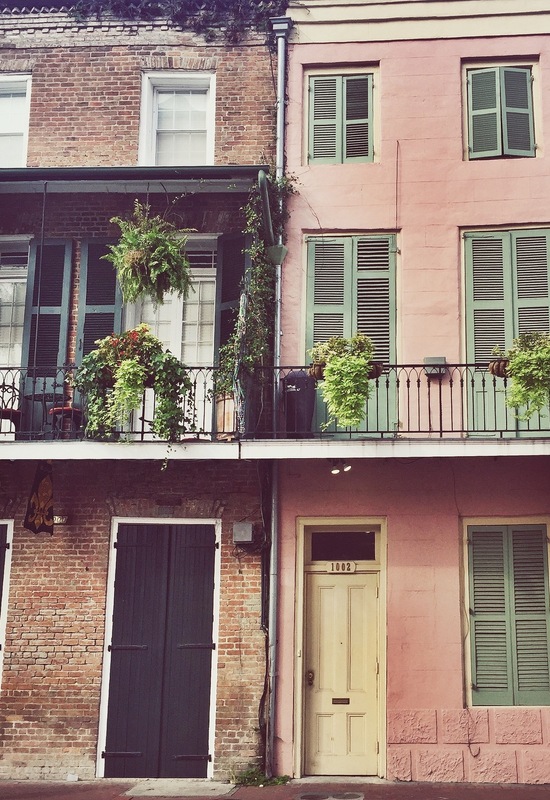 Although many people go to New Orleans for that reason alone, it is much more than that. John and I don't drink, so we only walked down Bourbon Street once to "sight-see" and the rest of our trip was spent outside of the deranged drinking scene. That being said, here are a 10 things you need to know when you are in New Orleans. 1. DON'T GO IN AUGUST. I know, I know -- it sounds like a great end-of-summer vacation. Think again. Although we had a great time, August is the hottest month in New Orleans. And I'm not talking just mid-90 degree temperatures. I'm talking 90 degree temperatures PLUS 80-90% humidity. My sis-in-law, Bonnie, and I made sure to pack dresses, shorts, and flowy tops to try and diminish the uncomfortableness, but we were still sweating like crazy. Jeans and any other heavy or tight clothing are a no-go. Also, remember, some of the historic buildings do not have air conditioning or even fans. So, no AC, plus being packed in a small room with 50 other people -- not ideal. 2. TAKE ADVANTAGE OF THE FREE TOURS BY FOOT. In New Orleans [as well as a few other cities] they have walking tours that are "name-your-own-price." Basically, you pay the tour guide whatever you think the tour was worth/what you can afford. The tour guides really love what they do and they are all passionate about New Orleans, so we never had a bad experience. That being said, I think the most we paid for a tour was $10 for each of us which we thought was very fair. To find tours, all you need to do is visit their website, sign up for an available time, and show up at the designated spot! We did the St. Louis Cemetery #1 Tour and the French Quarter tour. If you only have time for one, go with the cemetery tour to see the above-ground tombs. Pro Tip: You can't go into the cemetery without a tour guide. 4. GO TO A JAZZ CONCERT AT PRESERVATION HALL. Not only do you get to enjoy some of the best jazz music in the world, but you get to experience it in a historic building dating back to 1803. [Remember the building without air conditioning? Yeah, this is the one.] Although hot and humid, it was an experience I'll never forget. There's something about listening to jazz music in the birthplace of jazz music.. you can't beat it! 5. CAFE DU MONDE IS ALL IT'S CRACKED UP TO BE. Beignets, a.k.a. Donuts. Enough said. Experience the delicious powdery treat that's been in New Orleans since 1862. If it's been around that long, you know it's good. Pro Tip: Go at an "off time" -- in between meals or early/late. Did I mention it's open 24 hours a day? 7. 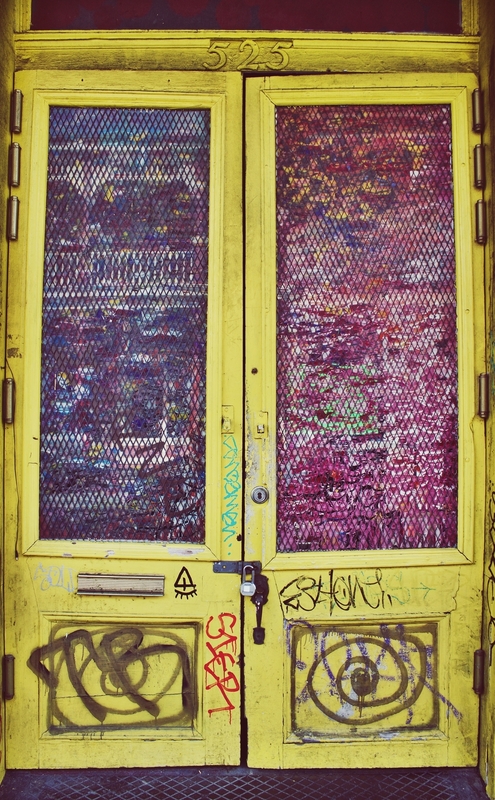 CHECK OUT THE FRENCHMEN ART MARKET. This weekly night-time market is filled with local creatives showing and selling their work. If you like local handmade jewelry and beautiful pieces of artwork, this is the perfect place for you. It has an awesome balance of eccentric and modern pieces and I guarantee you will be able to find something you like. It's a nice break from the touristy, made-in-china pieces for sale in the French Market. [The only thing I would suggest buying from the French Market is a crepe.] We scored two watercolor prints that are beautifully placed on our living room wall and Bonnie got some beautiful stacking rings that I wish I would have gotten! 8. THE WORLD WAR II MUSEUM IS WORTH IT. Especially in August, the National World War II museum is a nice break from the heat. It is absolutely huge, so we probably could have spent more time there, but we enjoyed 4-5 hours going through it. My favorite building on the 5-building campus is the Boeing Center. It is filled with planes and other machinery from the war. If you are afraid of heights, I wouldn't suggest walking the catwalks, but they do allow you to get up close to the many airplanes on display, which is AWESOME. 9. BOURBON STREET IS COOL, BUT... it's overrated. The people watching is unmatched, but like I said before, unless you are going there to get smashed, a walk down the street in the evening is all you need. 10. THANK GOODNESS HURRICANE KAT SPARED THE FRENCH QUARTER. When Hurricane Katrina devastated New Orleans in 2005, the French Quarter remained almost completely untouched. Jackson Square is gorgeous and I couldn't get enough of the Spanish/French/Victorian style houses. I could take pictures of them all day. 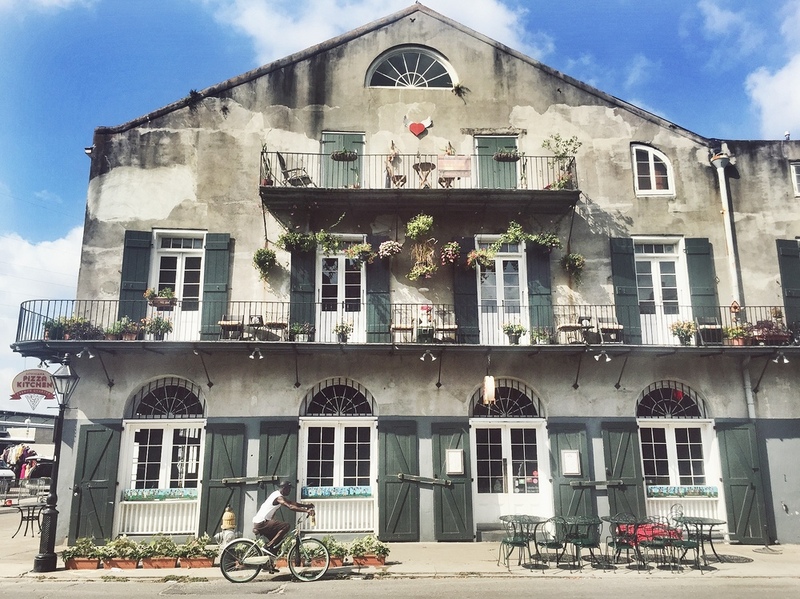 If you go on the walking tour of the French Quarter, the tour guide will tell you all about the history of specific homes and who lived there, which is fascinating! 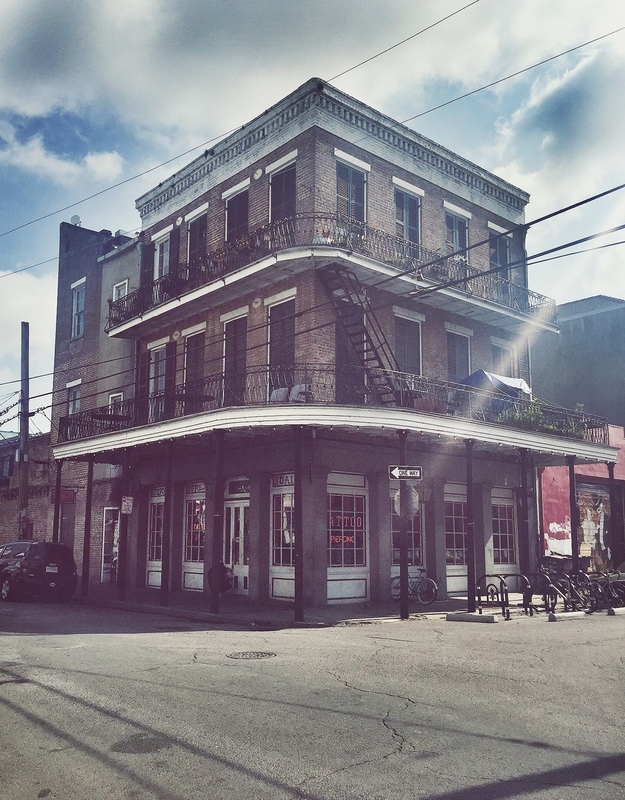 I would even suggest staying in the French Quarter if you can! If you have any comments or questions, feel free to post below! Happy Traveling!